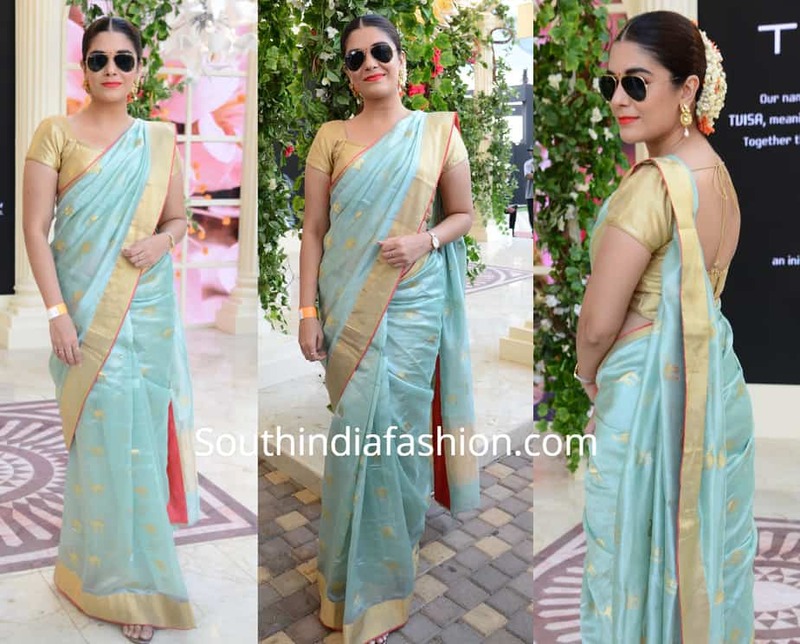 At the Lakme Fashion Week, Pooja Gor was snapped in a traditional saree. 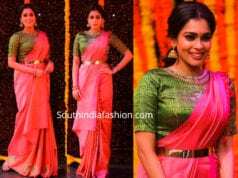 She wore a pastel blue silk saree with gold blouse by Singhanias. A pair of gold earrings, sunglasses and gajra bun rounded out her look!